Rubens Barrichello is adamant he has what it takes for another season in F1 and has once again urged Williams to retain him. Out of contract at the end of this campaign, Barrichello is determined to continue his run in F1 and is eyeing a 20th season in the sport. “I am physically better than I was when I was 18… I really am, it is true,” he told Reuters. The Brazilian also believes he brings a lot to the Williams team with his experience, especially in light of the personnel changes going on within the team, who will lose tech director Sam Michael after this weekend’s Singapore GP. “The (Williams) team is changing engines, personnel is changing so… I think I have a lot to give to the team. “It is not just experience because if you have experience but no speed then it is nothing. If you have speed and no experience it is actually better but what I can offer the team is my speed – and the experience comes gratis. “I think it is a love and a passion for the speed. In all honesty I am talking to the team to see if I can race next year. I am still in love with the sport, I don’t know what I can do to live without that speed. I am enjoying it more and more. The 39-year-old concedes that 2010 has been a disaster for Williams, who have bagged just five points in 13 grands prix, a massive deficit to Championship-leaders Red Bull who have 451. However, he is confident that 2012 will be a better season for the Grove-based team. 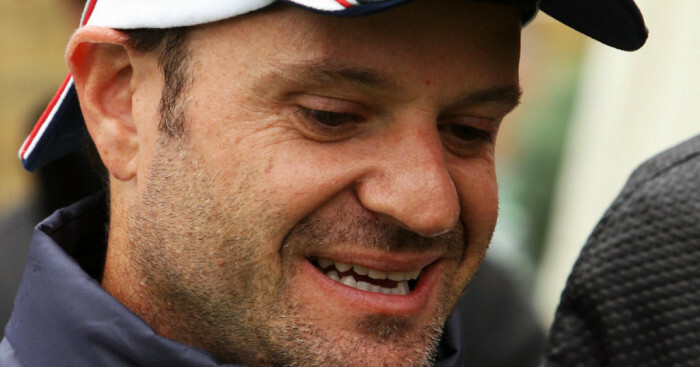 “We had a terrible year,” Barrichello said. “There was lots of things that the team concentrated on, such as the lower gear box… it was not that they did not pay attention… but with the changing tyre and some of the other teams being better prepared they (rival teams) were able to do a better job. “Our car is not bad to drive but it is just not quick enough, so we just try to develop, we try to get to the rhythm of the top guys, but it has not been good enough.